Announcement FREE SHIPPING!! Happy Holidays from BurlyBeardco! Welcome to our shop! 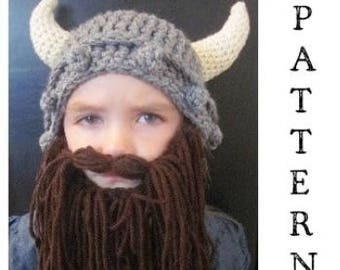 Home of the bearded beanies, cabbage patch hats and LOADS of fun patterns! Patterns are PDF Downloads and available right after purchase. Check out ALL our Etsy shops: HandSpunHome & HelmetHeadByLaura! Click the sizing links to the left to make your browsing easier! Be sure to check out the SIZE CHART below to see the different sizes available. PLEASE-- Be sure to check your measurements before ordering! LIKE my Facebook pages and share them in a status post! FREE SHIPPING!! Happy Holidays from BurlyBeardco! SALE!! CUSTOM Patch Hat w/ Loops and Ponytails! Burly Beard's beginning started in Western Idaho over my husband's Christmas Break from school. A friend of mine had recently shown me a picture of a bearded beanie. After a little researching, I discovered that there weren't many for sale yet, so I took on the task of designing the perfect hat and beard set. It took a little bit of time, but soon I had my first listings up on Etsy! Since then, more items, colors, styles and varieties of bearded beanies and hats have been added and more patterns created! We have loved working with Etsy to provide you quality items that have been perfected over 6 years of beard experience. Thanks for visiting our shop! We hope you LOVE what you find! My family and me! We love all things creative! This shop has been a fun outlet and major blessing while my husband continues his training. My sister Amy and her family. She's our main source of beards when we need a lot of them. We've worked closely with this company for 2 years through BurlyBeard.com. After a long process of instruction, refining and sample shipping they have created the item that I originally designed! They do great work and we hope you love them too! Hello and welcome to BurlyBeardco on Etsy! Here you will find a fun variety of handmade hats that you can purchase from us or make yourself! We love creating, making and providing you access to patterns that will add a little fun into your lives! Thanks for visiting and we hope you like what you see!